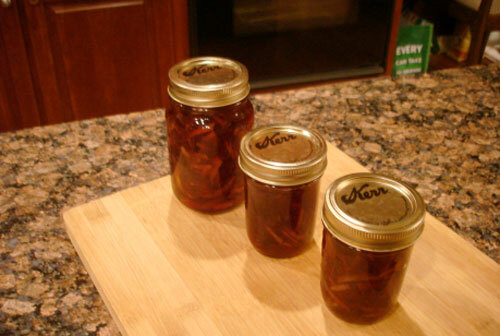 You are currently browsing the Suburban Homesteading – Frugal Living blog archives for March, 2012. Throughout my life, as a sheep breeder, a farmers wife, an Ag business professional, a 4-H leader and a suburban homesteader I often talk with people who want to do the same kinds of things I’m doing—growing my own food and living a more simple life. They claim to want this more than anything else; it permeates to the very core of their being. But, as I talk with them about what I am doing and encouraging them in how they too can walk this path, an interesting thing happens. A litany of reasons why “I can’t” begins to emerge. The reasons usually revolve around the fact that they don’t own a farm, or their family will not move out of the city, or still yet they have to wait until the kids are out of school. You get the picture. As I listen to the excuses one thought runs through my mind—if you want to farm then farm. Just get started; no matter where you are. I understand the reluctance and obstacles. Some people have city rules or HOA regulations that prevent them from participating fully in a farm life, but I do not understand doing nothing. 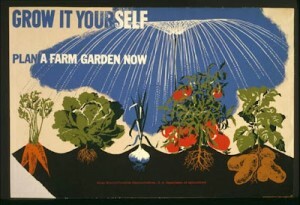 No matter where you live you can start growing your own food NOW! If farming is something you want to do then nothing will stand in your way. Not location, not time, not money, not the job, not family reservations. Nothing. If this is your dream, stop dreaming and start doing. If my seemingly lack of understanding makes you mad then get mad. But, remember one thing…all these excuses…all these reasons…all the “I cant’s” for not doing has stopped you before; stopped you from pursuing areas that interested you, projects you wanted to try, places you wanted to go. You know I’m right. No matter where you live or what your immediate situation is you can start now. Start with a potted garden on your condo balcony. Start with a small unused planter near your patio, but do start. Give yourself permission to start. If you live in an apartment or city high-rise you can still order seeds, set up some grow lights or pot up a bunch of herbs to set in the kitchen window and start growing a little of what you use. You can volunteer at the local farmers market; get acquainted with farmers who can mentor you. You can offer veggie starts or eggs for sale to co-workers, eventually working your way up to a small business. In a few weeks starting with nothing but borrowed equipment and a few packs of bought seeds you can be on your way to becoming a farmer. This may sound crazy, but it’s not. Not unless you are still hanging onto the long list of “I can’t’s”. If you want it to happened, really happen, you will find a way. Nothing will be able to stop you, and once you start you’ll be surprised how things just come your way. A friend may offer an extra table to use as a potting bench; another may ask to partner with you to raise chickens for eggs or meat. When your new life begins, your old life begins to fade away. You become a careful spender, an avid seller of unused belongings, and that brings money into your world, allowing you to do more. Don’t be influenced by the people who don’t understand, who don’t agree, who perpetuate the “I can’t” excuses that chip away at your resolve and you dream. Stand with people who are excited about your ideas and prospects. 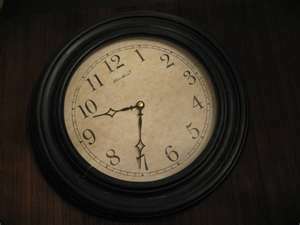 Stay clear of those who want you to wait until life gets a little easier, gets a little slower, when you have more time on your hands because those days will never come. Life is always busy. Always crazy. The question is what do you want to be busy with or crazy about. Wouldn’t you prefer to busy yourself gardening or getting crazy planning for a new batch of chicks? I know I would. This is my advice to you, folks, my wish for you—start today; not just dreaming, but doing. Take a few steps towards that farm in your mind and make it a reality. Surf the net for information. Call the farmers market organizer. Find a local garden club or sustainable farming organization and join. Borrow books. Barter for help. Find people who are trying to do the same and set up a group to encourage each other, support each other. This is not something you will ever regret. Not ever! If farming is not your thing, but you still want to live a simpler less stressful life there are steps you can take to move that direction too. The moral of my story is “if you want it badly enough, crave it ‘til your stomach aches, even cry at night because it hurts you don’t have it…remember one thing…NOTHING and NO ONE can stop you from pursuing your farming dream if you have taken “I CAN’T” out of the equation.” And every day you put if off is one more day you have killed off life’s enjoyments. Choose life my dear friends…choose life. The drive up north on Friday was long but uneventful, just the way I like it. With every trip, though, it seems like the road gets longer and longer. Over the hills from our little farm, to the freeway that takes us out of the county. Up the coast where the fog hangs like a sheet covering the morning sun then turn inland and the fog burns off, the sun comes out and the weather changes from cool coastal to warm and dry. Before you know it we’ve passed through towns and small cities before the road opens up into miles of rich green fields of farmland. This valley that is cased in morning fog and cooled in the evening by an ocean breeze is the salad bowl of California. The fields are a patchwork of lettuce, spinach, asparagus, cabbage and broccoli, dotted by colorful tractors and irrigation lines that seem to stretch into the horizon. We arrived at Metzer Farms about 3:30 in the afternoon. Early enough that we wouldn’t have to rush to get to the show grounds before dark (an hour away). It was stormy, chilly and the wind was blowing briskly, which made it seem even colder. Ashley met us in the driveway and told us where to park so we would not be in the way. Metzer Farms is a large waterfowl breeding operation. Pastures full of breeding females line the driveway leading to the brooding house and shipping barn. The pens are long and narrow with a duck house at the far end. I walked along the road looking at the huge flocks resting under the trees. We could hear the cacophony of babies through the open door of the brooder house. I walked back to the truck and unpacked the temporary brooder we brought with us, lined it with a few layers of paper towels then proceeded into the office. As Ashley and I chatted about the breeds I bought and any special care instructions, she typed up my receipt. When we were finished I waited patiently, thinking that one of the workers would walk through the door with my new batch of ducklings, but no one came. Two week out from our celebrated Spring Equinox, that day when we turn our backs on a long cold winter and look forward to the warming rays of spring, we have seen some of the coldest temps this season, along with our traditional spring norms in the 60s and 70s. Every morning when I get up I can see frost on neighboring rooftops, on lawns and on cars. Traditionally our last frost date is March 15th and I normally try to direct sow root veggies the first weekend in March. It is also the time when I start a ton of other veggies for transplant later in the spring. With my garden just a few weeks under ground and the nightly lows in the 30s and 40s this usually stoic farm girl is quaking in her muck boots like an expectant mother. Was I too anxious to start gardening? Did I foolishly jump the gun? Perhaps. But, if I had not planted when I did I would not have had another opportunity until the first week in April; much too late to see a harvest of greens and early roots by Easter. The seeds are in though and the only thing to do now is deal with what Mother Nature throws our way. The remedy…crop covers; sometimes called cloches, which is French and sounds really cool. Crop covers can be purchased or homemade. Purchased crop covers are sheets of semi-transparent clothe that can be placed over a garden bed, attached to the top of wire fencing or staked over flats of planted seedlings. It acts like a mini-greenhouse, trapping the warm sun of day and maintaining it throughout the night. A few degrees increase in temperature can mean the difference between garden survival and complete disaster. In a pinch, even opaque containers can save your plants. However, if a hard freeze is on its way, cover plants as best you can and cross your fingers. Scavenged or re-purposed materials like plastic sheeting or clear drop clothes can be used for larger outdoor beds. If you have a smaller garden area or a balcony or pot garden there are literally a zillion things you can use to protect your plants. Containers like clear soup tubs from take-out restaurants, deli containers, old refrigerator containers, and milk or juice jugs make great substitutes. Even glass jars that hold those massive amounts of food items from big box stores can be used, and are the most like a French cloche. It doesn’t get any easier than washing out a container, removing the label to allow more light in and placing it upside down over your sprout. Give it a few twists into the soil to anchor it well then weigh it down with something heavy so it won’t blow over in the wind. If you’re area is prone to marauding critters, weigh it down with something heavier. 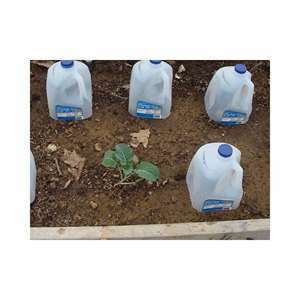 Milk cartons and juice jugs make great cloches for larger taller plants like tomatoes, cabbage and broccoli. Simply wash, remove the labels and cut off the bottom. Set it over your plant and push into the soil. The nice part about the jug system and the thing I like the most is that you can either drill a few holes in the lid or remove it all together (during the warm part of the day) so the inside doesn’t get too hot. Another benefit about the jugs is the 2-for-1 deal you get by cutting them in half across the middle, horizontally or down the middle, vertically. These work well for bushy shorter plants or lay it on its side over short rows of smaller plants. Obviously glass containers can’t be cut in half and used in multiple ways, but they are the most like a traditional French cloche, which is a bell-shaped glass cover used to protect plants from frost, wind and rain. Plus, when stored in the off season they will last for a long time. There are many different materials you can use, but the most important point is the container must be, at least, semi-transparent to let in the sun and its warmth. Also remember that protecting your plants is a day-by-day strategy. Covers should not be left on for days on end or the lack of sunlight (and over heating) will affect their growth. Also remember that on warmer days, no covers are necessary. In fact, covering your plants during warm days can build up the heat inside, literally cooking your plants to death. With a few recycled and homemade (or purchased) crop covers on hand you can protect your garden from harsh early spring weather. Marching on little seedlings, March on!! Blood Oranges may sound scary, like something out of a horror movie, but this brightly colored orange is anything but frightening. Most oranges from California and Arizona can be found in markets throughout the year. The Blood Orange however, is only available from January through April. So, there’s not a lot of time to enjoy this sweet and unusual treat. The Blood Orange seems to have a somewhat secretive past. Citrus experts believe that Blood Oranges are a natural mutation, in which the genetic levels of a sweet orange changed and produced an orange with red-colored flesh, juice and rind. The fruit was so interesting that those who saw it continued to propagate the variety. No one knows exactly where this took place, but most people suspect it was in the Mediterranean. This very old variety first appeared in Southern Europe around 1850, although blood oranges may have been known of earlier. “Red oranges” were first mentioned in Sicily in the Jesuit Ferrari’s opera Hesperides in 1646. According to his account, these oranges were brought to Italy from the Philippines by a Genovese missionary. Ferrari’s mention isn’t the only record of blood oranges. They also appear in a painting by the Tuscan artist Bartolomeo Bimbi and in illustrations by the botanist Micheli, both of whom lived in the 17th and 18th centuries. Blood Oranges were eventually brought to North America by Spanish and Italian immigrants. 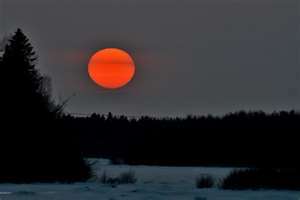 They are also known as Pigmented oranges, Sanguina, Sanguine, Rubies, Blush or Moro oranges. Blood Oranges are great eaten fresh, but also make a wonderful morning juice when squeezed fresh, or used in a favorite cocktail like a Sunday Brunch Mimosa or Screwdriver. Try slicing and tossing them in a salad or using them in a chicken marinade where orange juice is called for. Our favorite treat however, is a Blood Orange Marmalade and when I saw the oranges on our tree show that telltale blush a few weeks ago, all I could think about was making marmalade, but the oranges weren’t quite ripe yet. 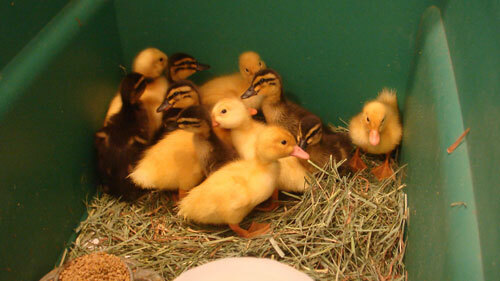 On Friday I will be picking up my new batch of meat ducks. I’m so excited to be starting this new venture in meat production. We will pick up six Pekin and six Rouen ducklings on the way to one of Brianne’s last sheep shows of her career. It’s sad to think of this coming to an end, but the addition of the ducklings will take our minds off the close of this chapter. The long drive north will be broken up by stops to feed stores to replenish sheep feed with the main stop being Metzer Farms. I spent part of the morning gathering up the supplies I will need to make their long journey to our homestead a safe and comfortable one. 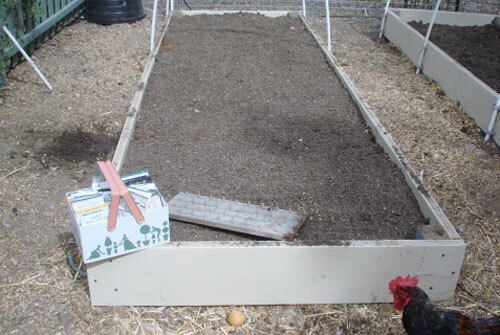 A large plastic storage bin will serve as a temporary brooder box. Inside it I packed heat lamps, a one-gallon waterer, a feeder, a roll of paper towels to line the bottom of the bin so their little duck feet won’t slip, potentially causing injury. I also packed six pounds of Quick Grow Kracketts, a high protein starter mash specifically made for new chicks, ducks and turkeys. All is loaded in the back of the truck. Now we just wait for Friday to arrive. When I decided not to replace the Sebastopol gander we lost last year I called Metzer Farms and asked if I could trade the value of the gander for an equal value in meat ducks. They were happy to oblige. I’m excited to be visiting them again. It’s so wonderful to see the pastures of breeding stock roaming around and the large brooding houses are quite something. If we leave early enough in the morning maybe we will have time for a short tour. One can hope, right? 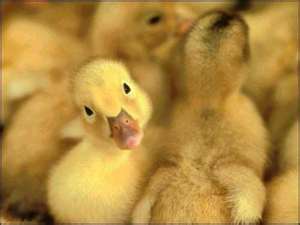 There are three main breeds used for meat duck production – Pekin, Rouen, and Muscovy. After some research and reading I decided to raise the Pekin and the Rouen because of the quality and flavor of their meat; and, because the Muscovy are a little freaky looking with the caruncle’s on their heads. I know, sounds wimpy of me, but I can’t help it. The thought of eating an animal that looks like that is just too, too off-putting. My selection was good for another reason…Metzer only sells Pekin and Rouen. There you have it folks! In just 49 days we’ll go from ducklings to dinner entrée as I post the whole process here in the “Duck Diaries”. So, stay tuned! On Friday, Brianne and I drove to a nearby horse farm to collect a load of aged manure to fill the raised beds I made back in January. It was a horrible day for working outside, another wind storm blew through our area, kicking up dust and dirt, making it hard to breathe let alone see. But, no progress could be made on the garden until the beds had been filled with a mixture of manure, compost and soil. We don’t produce enough compost so I always need to augment what we have, and given the chance I’d rather shovel for free than buy what I need. As the wind howled, we shoveled rich black composted manure, straw, shavings and hay into trash cans we loaded in the back of the truck. When we returned home each can was unloaded and dumped into two 4×12-foot raised beds, 3 cans per bed. Afterwards, each manure pile was raked level and large clumps were broken up, then a layer of mixed compost and soil was added and the whole dirt, compost, manure pudding was mixed up and re-leveled. By the time we finished the wind was blowing about 50mph. Brianne and I had so much dirt in our eyes, on our face and in our hair we could have planted seeds on ourselves instead of in the garden. We put our tools away, brushed off the dirt and headed into the house for a hot shower and a warm meal. I start seeds indoors because I want to get a jumpstart on spring planting with strong healthy transplants. All the advice I’d read recommended buying a seed tray warming mat or a kit that included a seed tray and a warming mat (the warmer soil speeds up seed germination). But, being the frugal gal that I am, I found the mats to be somewhat pricey, not to mention their limited usefulness. Once our weather warmed up (usually by late March) I could easily use solar power to warm my newly planted seeds. In the cooler months of January, February and early March, however, I still wanted to get my seeds off to a good start, so I put my thinking cap on to come up with a solution. Actually the idea came to me as the result of a painful situation. I had strained my back unloading bags of feed with my daughter. As I lay on the sofa with a heating pad wrapped around my back and a seed catalog in my hands it came to me! I could use the two heating pads we kept in the bathroom cabinet in place of commercial warming mats. They were a decent size, easily big enough to hold two of the black nursery flats I had gotten to hold my seed trays and recycled pony packs. The only challenge now was to find a way to protect the heating pads from the damp seed trays so it could continue being used for its intended purpose. I looked around the house to see what I had that might work and came across an old metal tray with a ½-inch lip around the edge. It could easily hold a good number of peat pots and peat pellets and a recycled cookie sheet could hold the pony packs. Viola! Homemade seed warming mat. Since each heating pad has different settings I had to test each setting until I found one that would warm the tray and subsequently the soil to the right temperature, which can be as low as 44 for cool weather crops like cabbage and as high as 86 for warm weather vegetables like squash and tomatoes. A good rule of thumb is 50 to 70 for most seeds. I used a standard household thermometer to measure the temperature. Now when I plant seeds indoors they get the warmth they need and I get my garden planting off to an early start. The storm that was supposed to arrive last night never materialized. It skirted us and headed south; a sad turn to be sure. Our rainfall this season has barely reached 6 inches and with our wet season almost over this can only mean one thing…we’ll be watering sooner and more often than usual this spring and summer. Not music to my ears, I can tell you. Our water rates have already gone up 5 times in the last year and another rate hike is slated to begin next month. This coupled with an increase in property taxes, medical insurance premiums and of course gas prices have this farm girl looking down at a pretty thin pocket book. All will turn out well I know. It always does. Anytime I’ve needed answers, they come to me when and how they are suppose to. But, I won’t just be sitting around waiting for Manna from Heaven though; we’ll hunker down, pair down and keep an eye on our spending until we weather the storm. But, I have to say, I’d rather be weathering a rain storm instead. An early spring means getting seeds into the garden sooner which is happy news. Brianne and I are picking up a load of free composted manure on Friday. It will fill the new raised vegetable beds. Hard work shoveling and a morning in the sun is a small price to pay for rich soil and an early harvest of lettuce greens, beets, carrots, radishes and spinach. I’ll plant early maturing crops first, and if time permits, I’ll start cabbage, broccoli and cauliflower in 4 inch pots. The tomatoes I planted last month are almost 3 inches tall now. In another few weeks they’ll be transplanted into larger pots until they are big enough and strong enough to withstand being planted in the garden.